Odoro – Dynamic Patient Self-Service Scheduling. SchedLogic™ is the brain that powers Odoro’s offering. It enables the organization to design a unique Q&A dialogue with their patients during the scheduling process. SchedLogic™ uses the patient’s answers, historical patient information, EMR/PM data, and an organization’s scheduling rules, to determine the best match with provider and appointment slots. From millennials to elderly users, Odoro enables organizations to offer patients convenient self-service scheduling based on their own organization’s scheduling rules and preferences. 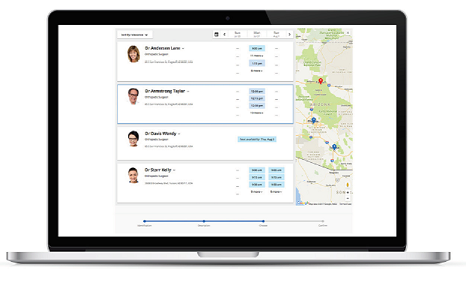 An infinite number of scheduling rules and preferences delivered to patients wherever they are. By automating their scheduling process with SchedLogic™, organizations gain complete control in helping patients book the right appointment at the right time, across any channel: whether mobile, web, IVR or call center. 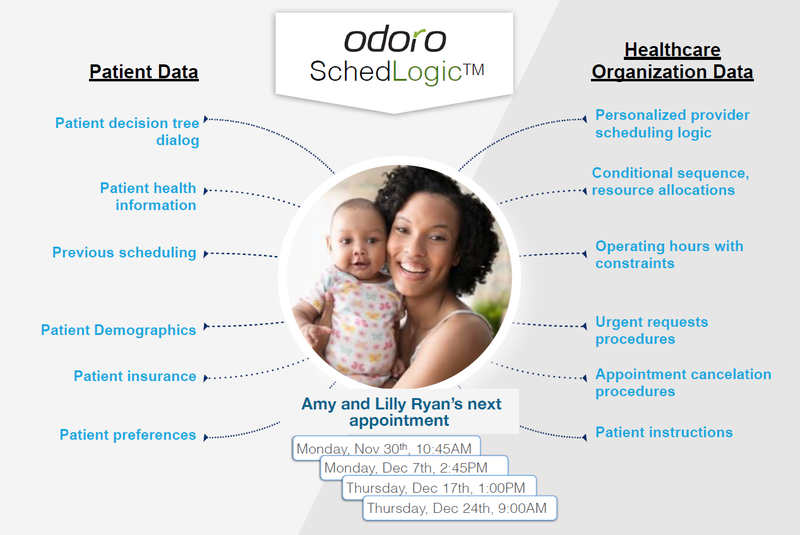 Through SchedLogic™, Odoro is helping organizations optimize provider time, reduce staff burden and increase operational efficiencies. Call us to start automating your patient interactions. Your patients will love our solutions. 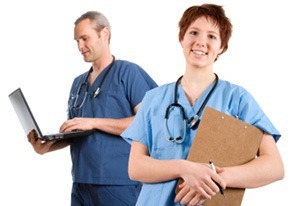 PatientWorks provides IT solutions to hundreds of healthcare service locations. Our solutions include patient self-service tablets, kiosks, eForms, portal check-in, patient payment processing, and patient engagement mobile smartphone apps. 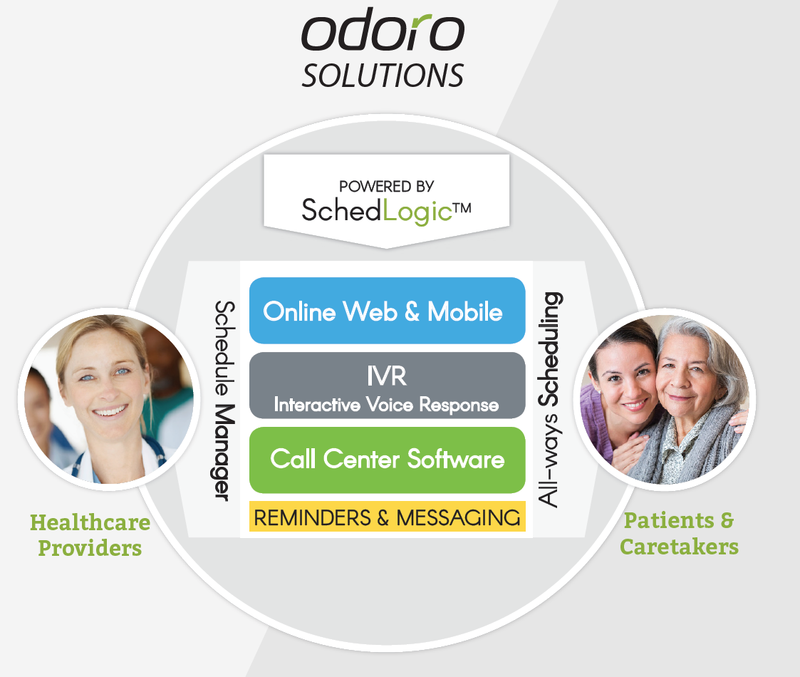 SchedLogic from Odoro is a solution that adds additional patient self-service functionality for our customers.